An ad hoc committee to produce South Africa’s 18th Constitutional Amendment Bill was approved on Thursday with a vote of 183 for and 77 against in the National Assembly. The ANC motion to establish this parliamentary committee is the next step in the process to make land expropriation without compensation possible. Approved in the last sitting on the final day of the 2018 parliamentary calendar, with a deadline of 31 March 2019, it’s looking like a rush job with the eyes firmly on electioneering. In Thursday’s heated debate, the ANC motion for an ad hoc committee to take charge of this process was divided along party political lines, much as it did when the House on Tuesday adopted the joint constitutional review committee. DA Chief Whip John Steenhuisen called it “a farce” to have a motion that predetermines an outcome before the House. IFP MP Mkhuleko Hlengwa rejected the motion, saying compensationless expropriation put at stake the success or failure of the democratic state. ANC Chief Whip Jackson Mthembu played it cool, saying he didn’t understand the fuss because the motion directly arises from the report whose recommendation for a mechanism to effect the constitutional change is now being implemented. The motion establishes an 11-strong multiparty committee on which the ANC holds six seats, the DA two, the EFF one; all other parties sharing the last spot. So, as in the House, the ANC has the numbers to ensure its view prevails. But the devil will be in the detail. And some of the detailed backroom parliamentary political moves are already underway. Daily Maverick is reliably informed the ANC has identified as their lead on the ad hoc committee Thoko Didiza, currently one of the four House chairpersons, but also a former minister of the Thabo Mbeki administration in charge of land affairs and agriculture, as the portfolio was known then. Veteran ANC MP Vincent Smith, who’s been at the national legislature since 1994, is understood to play a senior role on the committee. Both are experienced. While Didiza – she’s appreciated across party political lines for her calm, fair and rule-focused presiding over sittings – has close knowledge of government land policy implementation snags and concerns, Smith knows how to get things done. Importantly, Thursday’s motion in the House has come as Cabinet at its last sitting on Wednesday approved a revised Expropriation Bill to be published for public comment. This is an important step because a constitutional amendment cannot proceed without it to implementation. The draft Bill, according to the official Cabinet statement, “adds a section that provides explicit circumstances under which land expropriation in the public interest may be without compensation”. Deputy Public Works Minister Jeremy Cronin said the draft Bill would be published for public comment in the Government Gazette at the latest by next week. He declined to comment further. It is the third attempt to get a constitutionally compliant democratic expropriation law onto the statute books. The powers of expropriation of certain ministers and all premiers and mayors are drawn from the apartheid-era 1975 Expropriation Act, still on democratic South Africa’s statute books. Earlier in 2018, the second version of that draft legislation dating back to 2015 was rejected in the National Assembly after it had been on the back burner pending the outcome of ANC jockeying towards its December national conference, which at the last minute resolved on compensationless land expropriation. So the process of the 18th Constitutional Amendment Bill may well be straightforward, at least in the ANC’s view, but the politics are most definitely not. The DA has promised legal challenges – that’s in addition to the continuation of legal battles vowed by AfriForum. EFF leader Julius Malema on Tuesday reiterated the party’s cardinal policy pillar of land nationalisation. The state must own the land, Malema told Tuesday’s media briefing after the adoption of the joint constitutional review committee report for a constitutional amendment. And this “total ownership by the state” was non-negotiable, he said, adding that anyone in his caucus thinking there could be negotiations would be mistaken. How the EFF push for land nationalisation and state ownership will pan out – as the ANC pursues land expropriation without compensation as one tool for land reform that must not negatively impact food security or agricultural production while redressing apartheid and colonial pain caused by racially discriminatory dispossession – remains to be seen. Wrapping up the land expropriation without compensation issue on the last day of the 2018 parliamentary calendar has happened under extreme time pressure. And that carries risks – well beyond the temptation for an easy electioneering headline ticket. Laws that have been rushed through Parliament to meet election deadlines have faltered. Badly. What’s unfolding now is not the first time there’s a convergence of land reform legislation and elections. 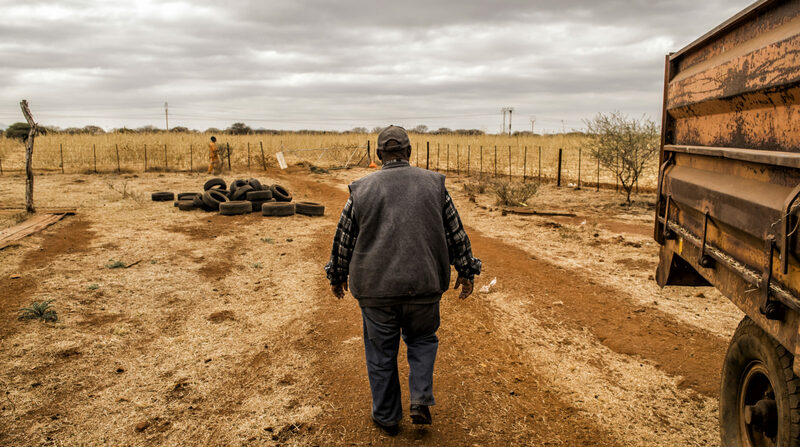 Just ahead of the May 2014 election, the Restitution of Land Rights Amendment Bill was passed after months of hype amid governing ANC promises of land reform and justice. In July 2014 then president Jacob Zuma signed the law into effect. But the law was a rush job – the National Council of Provinces (NCOP) effectively had allocated just one week – and on 16 February 2016 was declared invalid over lack of public consultations by the Constitutional Court that also ruled that the initial claims dating back two decades first had to be settled. In limbo even today remain those who submitted some 170,000 new claims when the claims window was reopened for five years from 1 July 2014. It should have been an opportunity for those forcibly dispossessed by apartheid and colonial discriminatory laws after years of complaints by thousands who missed, for whatever reason, the first claims window that closed on 31 December 1998. It wasn’t. Parliament, which was given two years to fix this, didn’t meet the June 2018 deadline as the final new draft law was being finalised in the rural development committee in September 2018, according to records of Parliamentary Monitoring Group (PMG). It’s understood the national legislature has asked the court for more time as the national chief land claims commissioner now is a point person in this matter. Bottom line: The legislation was rushed to meet electioneering promises and undertakings and the shortcuts to meet election-determined deadlines proved fatal. Yet there seems to be a replay regarding the constitutional amendment for land expropriation without compensation.